All You Need is Love: Look What We Did! Then I would like to welcome you to my little corner of the blogosphere. Grab a cup of coffee, maybe a snack or 2, and I hope you enjoy your visit and decide to stay. What you need are 2 socks - preferably knee high and adult size. Stuff them with stuffing, but only in the foot part. Tie off above the stuffing. Tie another piece of string close to the bottom to create feet. Tie yet another piece of string about 3/4 of the way up to make the head and the body. Next, glue on some eyes, a pom pom for the nose, and tie a ribbon or a piece of yarn around the neck. Voila! And thank goodness this is easy because I think I accidentally threw away the magazine that had the directions. Shh... don't tell my daughter! I also heard some good news today. GG informed me today that she wants her training wheels off of her bike! She hasn't yet tried to ride on 2 wheels instead of 4, so my enthusiasm may be short lived. I foresee many falls, some tears, and cries of frustration, but just the fact that she feels confident enough to try riding on 2 is very impressive in my eyes. Little Dude may not be that far behind her either. One of his training wheels keeps coming lose when he rides, but he still zooms around pretty good. How awesome would it be if they both got on their 2 wheeled bikes and just took off? I know it won't be that easy, but again, I am so proud that they have the confidence to give it a try. OMG, he's ADORABLE!! Thanks for sharing!! That bunny is adorable. And just you wait until they can actually fly on that two wheeler. They are so PROUD when they rock it! 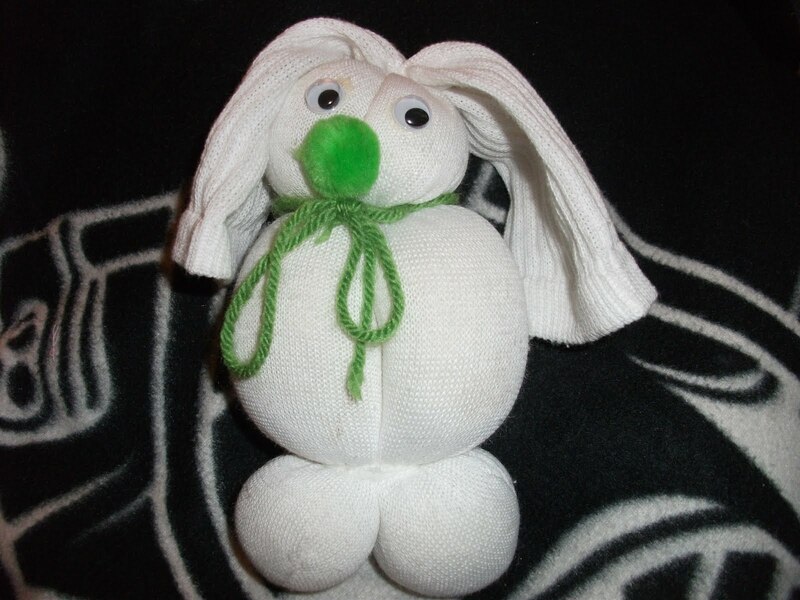 That bunny made me think of the towel animals on our cruise ship!! LOL! Cute!!! Happy FF! I'm your newest follower...if you get a chance, please follow me too! Have a great weekend! those a too cute. How creative.. Have a great Easter..
Hi. Thanks for stopping by my blog. I'm following you now too.